Looking up at the 9th floor where most of the workers died. 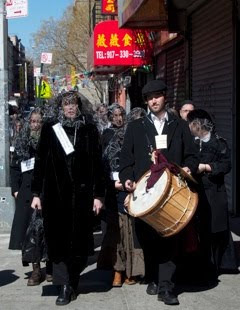 Musical Director Deborah Strauss leads the walk and also read the words of Rose Schneiderman at the Eldridge Street Synagogue. Children from the Midtown Workman's Circle Shule. Thank you to audience member Dr. Seth Gopin for the photos. 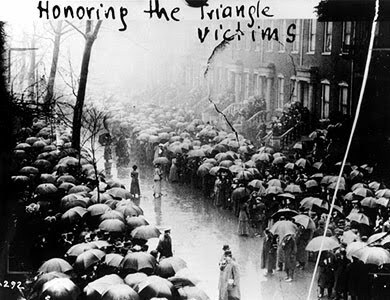 This morning 123 women and 23 men will be walking the workers who died in The Triangle Waist Factory Fire home. 146 people, mothers, daughters, workers from all walks of life will gather at 146pm in front of Asch Building on the corner of Washington Place and Greene Street. 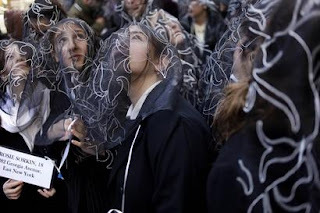 Dressed in costume, bedecked in veils and wearing a placard with the name of their worker, there will be a short performance of music at the site of the fire featuring Deborah Strauss, Jeff Warschauer, children from the Midtown Workman's Circle Shule and the New Yiddish Chorale. 35 Second Avenue, the home of Catherine Maltese, age 39 and her daughters Lucia Maltese, 20 and Rosaria Maltese 14. Corner of Hester and Forsyth, Joseph Wilson, age 21. 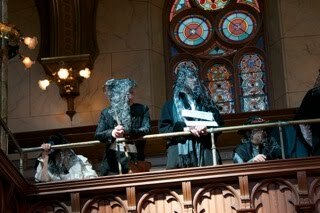 At 3pm, we will process into the Eldridge Street Shul, 12 Eldridge Street, for a performance of Yiddish poetry and music, honoring The Yiddish Sweatshop Poets, beautiful poets many of whom supported their families by working 12 hour days in factories. 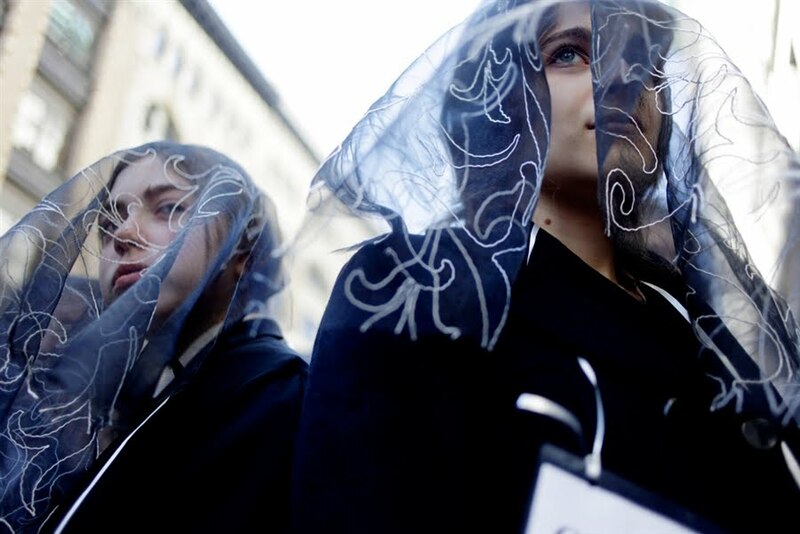 Their poetry exposed the horrors, the grind, the dangers, the exhaustion of the sweatshop life . 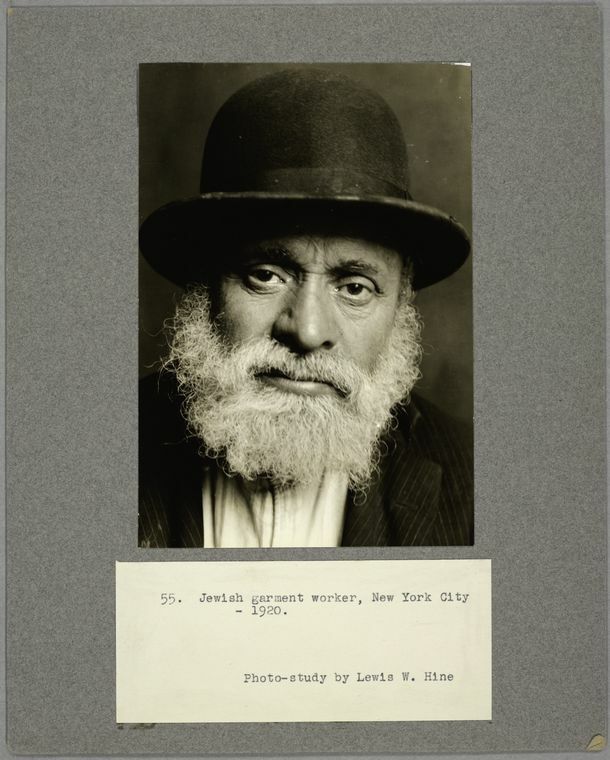 122 of the workers who died were Jewish and many if not all of them spoke Yiddish. Please join us. For those of you outside New York, we will be hosting a show on The Triangle Fire on WBAI, 99.5FM and wbai.org at 11am featuring Caraid O'Brien, Dr. Hanna Griff, Melanie Martinez, Yankl Salant and hosted by Janet Coleman and David Dozer for The Next Hour. 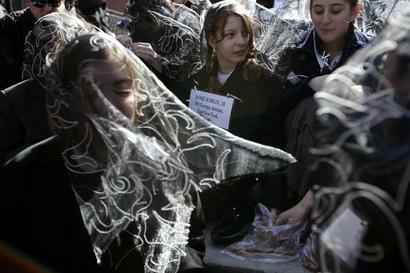 Many of the young women and men who died in the Triangle Fire, were engaged to be married. One woman had just had her engagement party the night before the fire, before she died. Another worker burned beyond recognition was identified by her fiance by the engagement ring still on her finger. "As I looked up I saw a love affair in the midst of all the horror. A young man helped a girl to the window sill. Then he held her out, deliberately away from the building and let her drop. He seemed cool and calculating. He held out a second girl the same way and let her drop. Then he held out a third girl who did not resist. I noticed that. They were as unresisting as if he were helping them onto a streetcar instead of into eternity. Undoubtedly he saw that a terrible death awaited them in the flames, and his was only a terrible chivalry. Then came the love amid the flames. He brought another girl to thewindow. Those of us who were looking saw her put her arms about him and kiss him. Then he held her out into space and dropped her. But quick as a flash he was on the window sill himself. His coat fluttered upward-the air filled his trouser legs. I could see that he wore tan shoes and hose. His hat remained on his head. Thud-dead, thud-dead-together they went into eternity. I saw his face before they covered it. You could see in it that he was a real man. He had done his best. We found out later that, in the room in which he stood, many girls were being burned to death by the flames and were screaming in an inferno of flame and heat. He chose the easiest way and was brave enough to even help the girl he loved to a quicker death, after she had given him a goodbye kiss. He leaped with an energy as if to arrive first in that mysterious land of eternity, but her thud-dead came first." 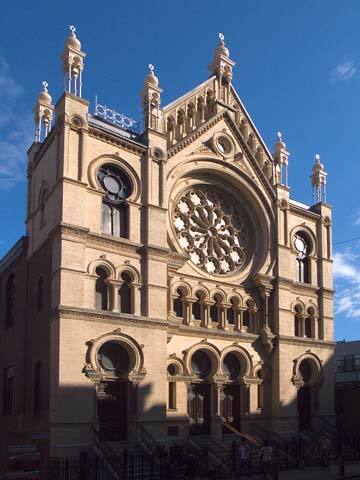 After we walk our 146 sweatshop workers home on Sunday, March 27th, we will all congregate at the Eldridge Street Synagogue for an afternoon of music and poetry written by the Yiddish sweatshop poets about the relentless soul crushing grind of life in the factory. One of Morris Rosenfeld's poems, To My Beloved, tells the tale of a factory worker with no time to spend in the arms of his beloved as they are both at work all day long. I cannot now embrace you – no! And I must tremble when I sew. This poem will be performed in its entirety by Melanie Martinez at left and Yankl Salant in English and Yiddish on March 27th at 3pm at The Eldridge Street Synagogue. The talented photographer Louie Correia will be taking individual portraits of each of our 146 walkers. 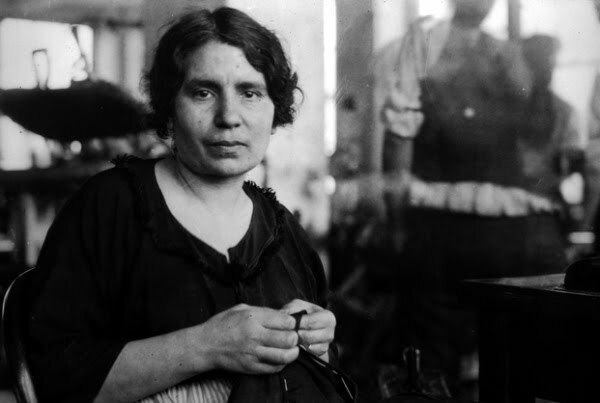 Here are some portraits of sweatshop workers for inspiration. 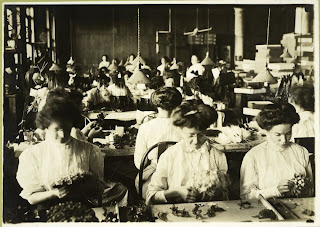 Despite, their long hours and arduous conditions, the workers, in particular the women took particular care with their appearance. One survivor of the fire, remembers running back to get her fur muff that she had saved up for and left in the dressing room. She missed the last elevator down and with the muff on her hand, held the cable and jumped down the elevator shaft where she was saved. The muff protected her hands from being burned off from the heat of the cable and she survived. Many others were not so lucky. Several workers died in the elevator shaft. The fire only raged for a few minutes and the difference between life and death was a brief unthinking decision. It was the end of an eight hour Saturday shift. People were already getting ready to leave when the fire broke out and in fact some of the workers did not realize the building was on fire until they were out on the street. One young man bounded down the stairs to wait for his sister outside. She was engaged to be married and wanted to fix herself up before she went to meet her fiance. By the time her brother realized what was going on, the firemen wouldn't let him back in the building to try and save his sister. She never made it out alive. Another young man went downstairs to wait for his father. His father, also never made it out. Entire families were lost that day. 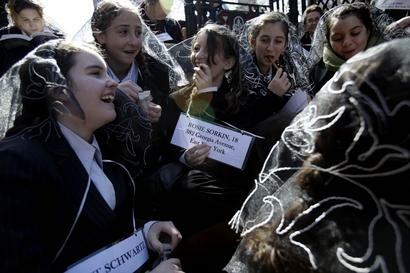 Catherine Maltese, age 39 and her two daughters, Lucia age 20 and Rosaria, age 14 all perished in the fire. 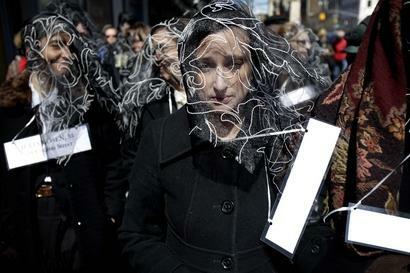 Rose Freedman, pictured at left, was the last living survivor of the fire. She died in Februrary 2001 at the age of 102. 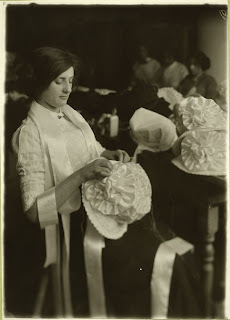 She was 17 when she worked at the Triangle Factory. When the fire broke out, she thought of the bosses on the tenth floor and ran upstairs where a policeman helped her over a neighboring roof and to safety. 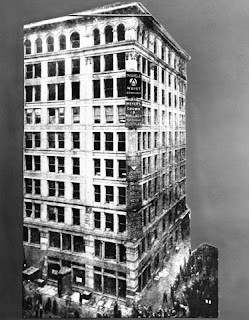 It was no accident that the fire took place at The Triangle Shirtwaist Factory which was one of the only non union shirtwaist shops left. A few years earlier in 1909, there had been a major shirtwaist strike which included The Triangle Factory. While the owners eventually agreed to higher pay and fewer hours, they refused to unionize or allow the workers a say in how the factory was run. Some of the reforms that strikers had been campaigning for included greater safety regulations, better fire escapes and unlocked doors. Since the strike, the factory doors were more likely than ever to be locked so that the workers couldn't leave without permission. The owners of The Triangle escaped judgment in court because no one could prove they knew the doors were locked. It was just a technicality, however. Lawyers for the defense even tried to bribe survivors to say the doors were open. What's more Harris and Blanck were cited for safety violations at another factory several years later, including locking doors. At the moment, I have a wretched cold, which is why I didn't post anything yesterday. My apartment is a mess and I can't imagine how I am going to going to finish all my work for the day and yet, I am working from home, in my pajamas at my own pace, my son is in pre-school and if I want I can go back to bed. 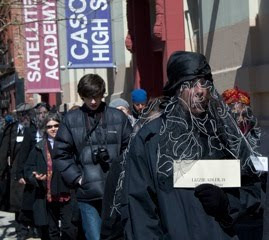 As l think about the women and men we are representing on Sunday, March 27th for The Triangle Fire: Their Final Walk Home, I am humbled as I contemplate the grind of their every day life, the monotonous work, the long hours, the bleeding fingers, the inability to go the bathroom whenever they wanted. 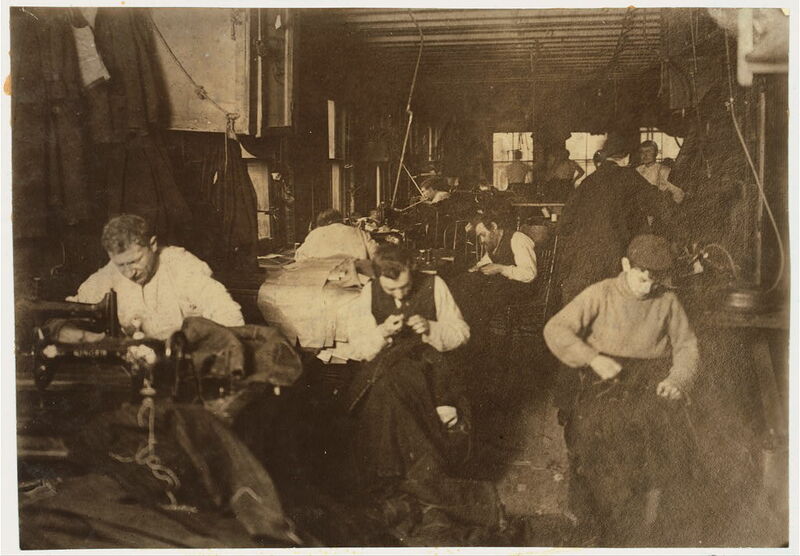 The cutters, the machine operators, even the foremen worked six days a week, often 12 hours a day or more. Many would bring work home and work through the night or on their day off. 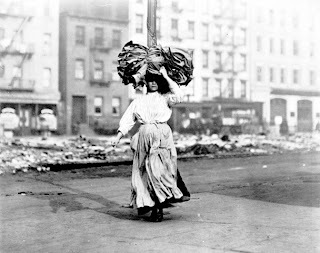 The fire at the Triangle Shirtwaist Factory happened on a Saturday at 4.45pm, just before closing, on what was a short eight hour workday. The owners, Isaac Harris and Max Blanck, who had their offices on the tenth floor escaped through the roof when someone called to tell them that the building was on fire. No one notified the machine operators on the floors below. The workers supported their families with their earnings, even the young teenage girls handed their pay packets over to their parents for food, shelter and to send money to relatives in Europe. One widow with five children was a machine operator at the Triangle Factory. After she died in the fire, four of her children ended up in orphanages. Another worker who died in the fire, widow and mother of three, Julia Rosen of Clinton Street, had her entire life saving of $852 wadded up in her stocking. Harris and Blanck were later prosecuted for the fire but were found not guilty despite heart wrenching testimony from the survivors, because no one could prove they knew the doors to the factory floor were locked. One sweatshop worker circa 1900, Sadie Frowne, describes her day like this: "I work in Allen Street (Manhattan) in what they call a sweatshop. I am new at the work and the foreman scolds me a great deal. I get up at half-past five o'clock every morning and make myself a cup of coffee on the oil stove. I eat a bit of bread and perhaps some fruit and then go to work. Often I get there soon after six o'clock so as to be in good time, though the factory does not open till seven. At seven o'clock we all sit down to our machines and the boss brings to each one the pile of work that he or she is to finish during the day--what they call in English their "stint." This pile is put down beside the machine and as soon as a garment is done it is laid on the other side of the machine. Sometimes the work is not all finished by six o'clock, and then the one who is behind must work overtime. The machines go like mad all day because the faster you work the more money you get. Sometimes in my haste I get my finger caught and the needle goes right through it. It goes so quick, though, that it does not hurt much. 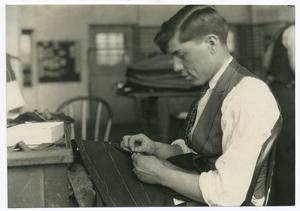 I bind the finger up with a piece of cotton and go on working. We all have accidents like that." These workers saw their job as a way forward to a better position in life. The factory owners preyed upon these immigrant dreams for a better life at all costs by offering them the lowest possible wages in the most cramped conditions. One of the many fantastic art-memorial-political projects happening this month to commemorate the centennial of the Triangle Fire is a mobile sound exhibit Terrible Karma: Reverberations of the Triangle Shirtwaist Factory Fire. This group will be riding around in a van on March 25th projecting images and audio from survivors of the fire mixed with testimony from Chinese sweatshop workers. 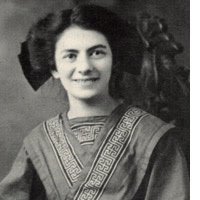 You can hear Pauline Pepe, a machine operator from the Triangle and a survivor of the fire remember her life in a joyous way by scrolling down to the audio at bottom of their site.